South Africa has increased its minimum wage to N126,480 per month. 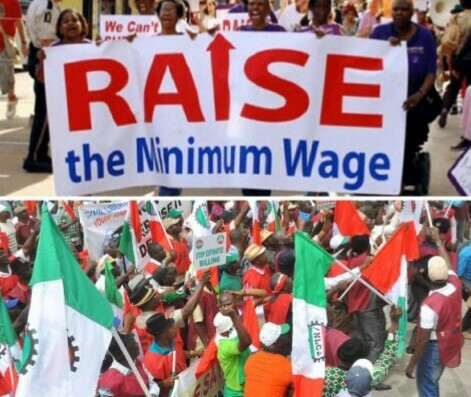 The news is coming at a time Nigerian workers are uncertain their struggle for a N30,000 minimum wage would yield result. Later they will claim that our economy is the best in Africa. President of South Africa, Cyril Ramaphosa said the wage, which would come into effect January 1, 2019, would benefit about six million workers that currently earn R3,700 (N97,495). One South African Rand exchanges for N26.35. This means South African workers would be earning N527 per hour: N4,216 per day and N126,480 per month. Their Nigerian counterparts currently earn N75 per hour, which is N600 per day (at eight working hours per day) and N18,000 per month. If they get N30,000 as minimum wage, Nigerian workers would be earning N125 per hour or N1,000 per day, which amounts to N30,000 monthly. Compared, a Nigerian worker would be earning less than a quarter of what the South African takes home monthly, that is if the proposed N30,000 will even be approved.